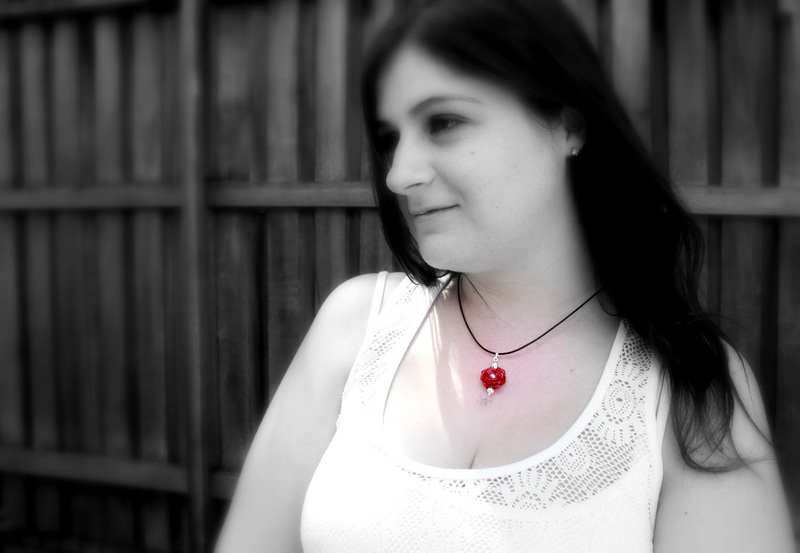 A divine piece of art. 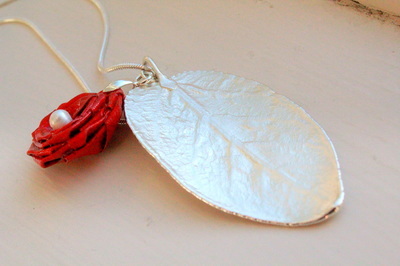 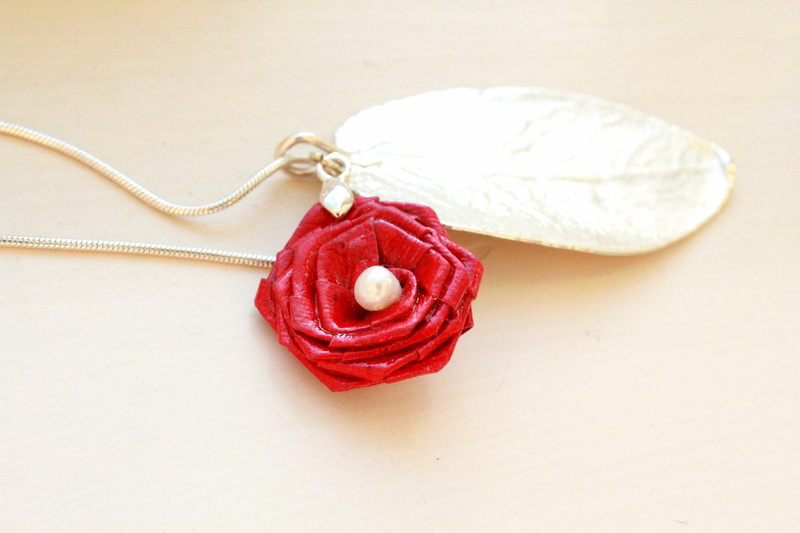 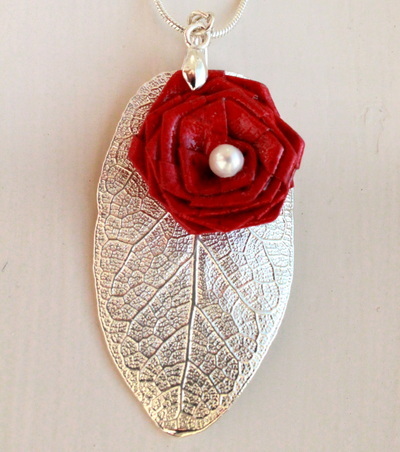 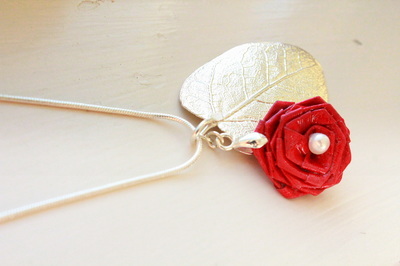 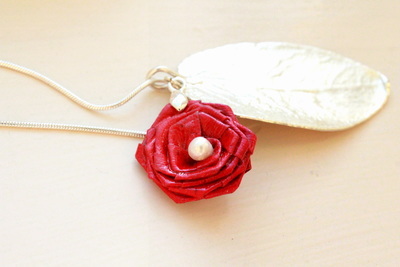 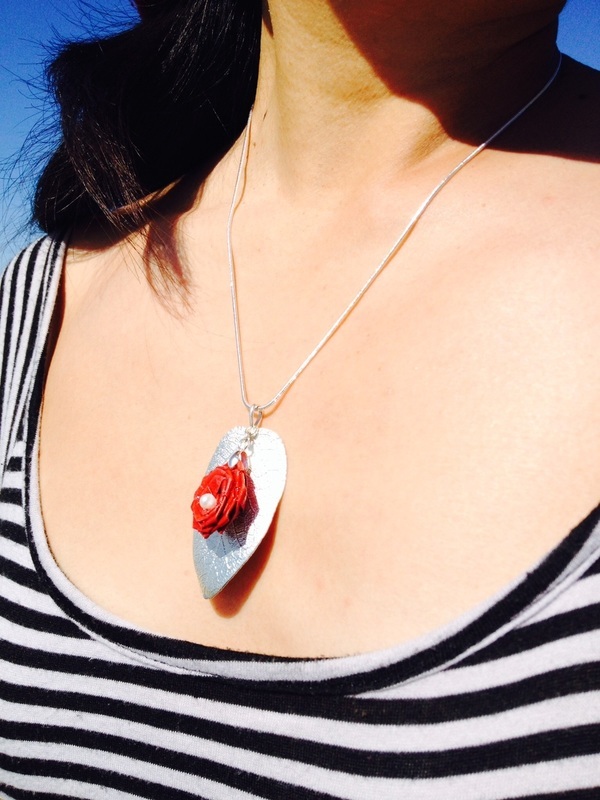 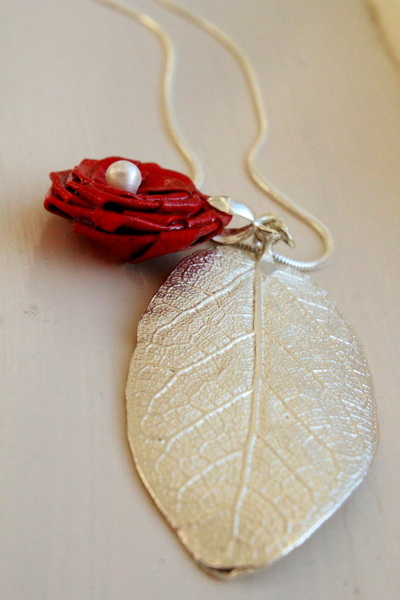 Handmade Origami Red Rose with freshwater pearl center assembled onto an electroformed fine silver Fig Vine leaf. 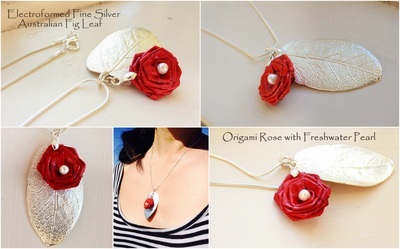 This unique fusion piece combines the beauty of nature, fine silver and origami folding, creating a modern fashion style. 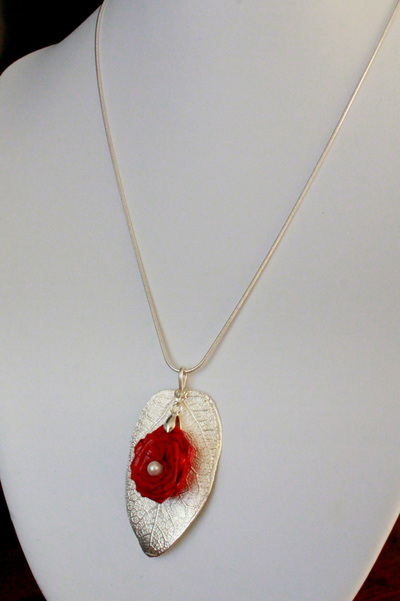 This beautiful piece is attached to 925 Sterling Silver Chain approximately 46cm in length. 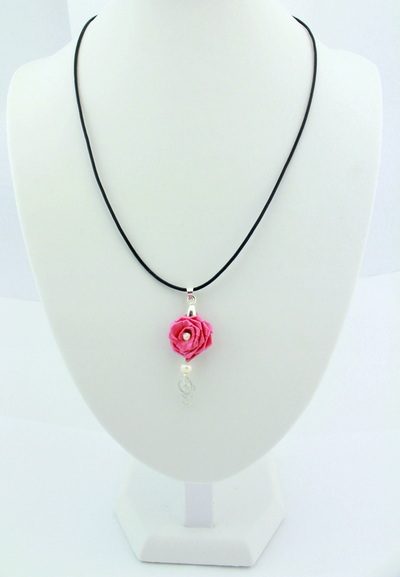 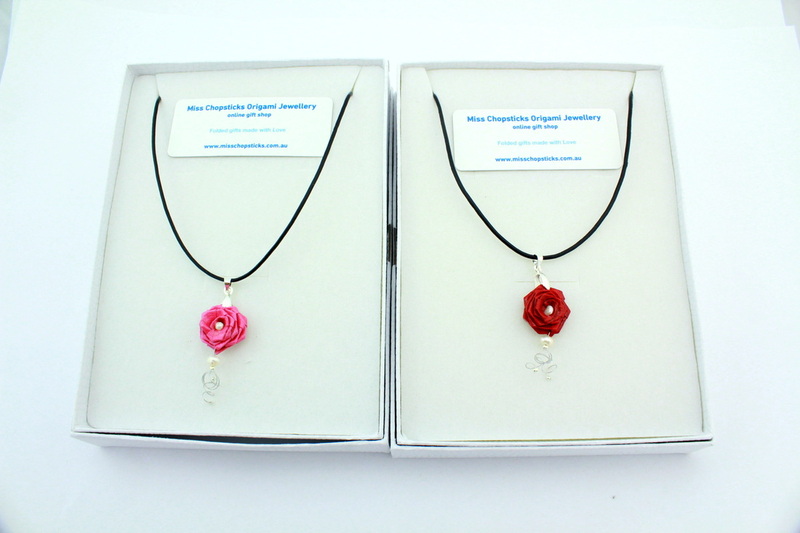 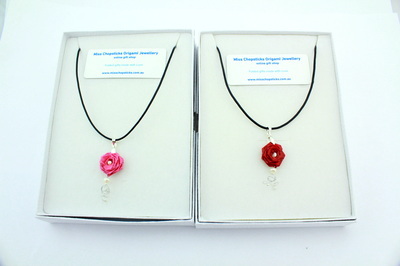 Unique Rose origami Necklace are hand folded and e polished with water resistant coating. 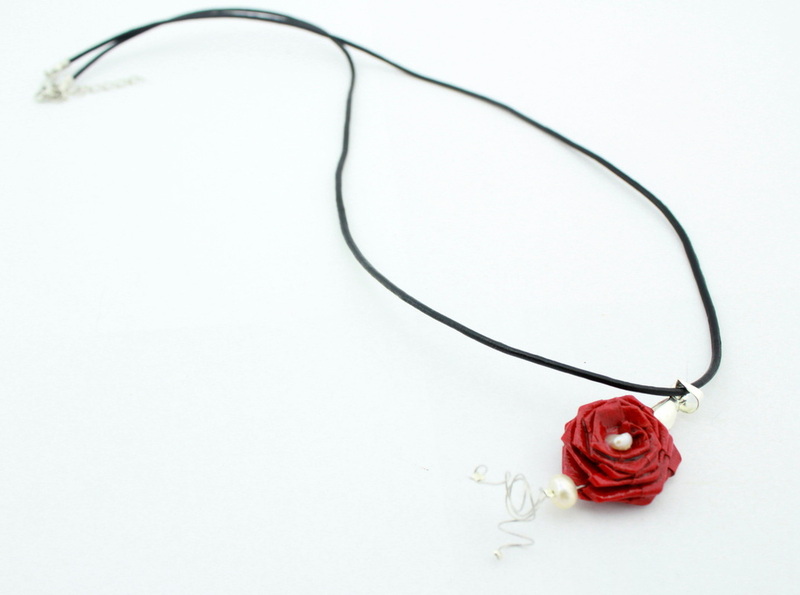 Beautifully assembled with fresh water pearls, wire and leather necklace. 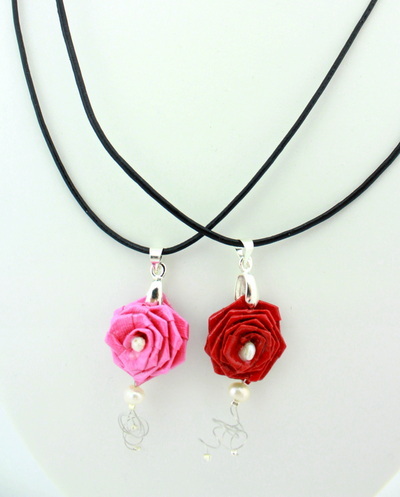 Roses symbolises, love and passion. 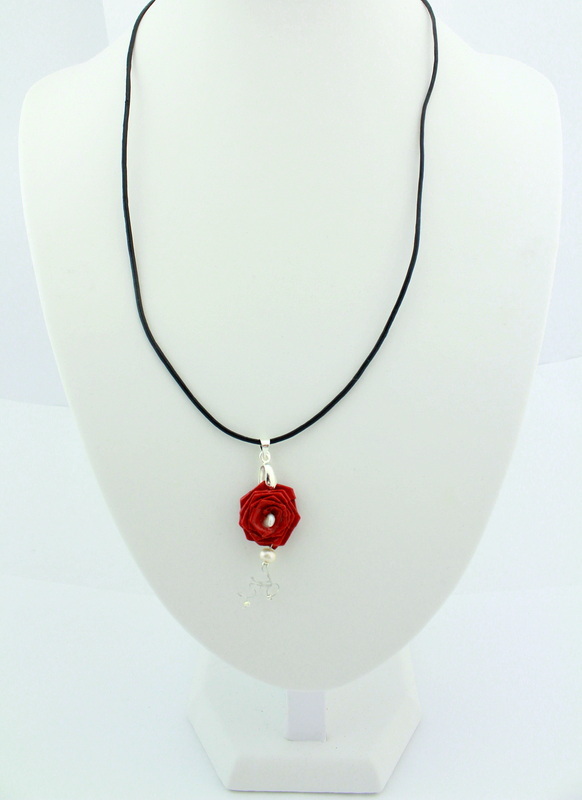 This piece is so unique and versatile you can wear it for special occasions or simply a daily wear that is eye catching as conversation starter. 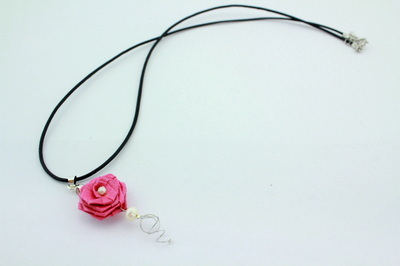 Handmade origami rose necklace pendant made from Washi paper and polished with strong water resistant lacquer gives long lasting effect. Rose is assembled on hessian and 3 fresh water pearls Unique stunning style that blossoms in all season. 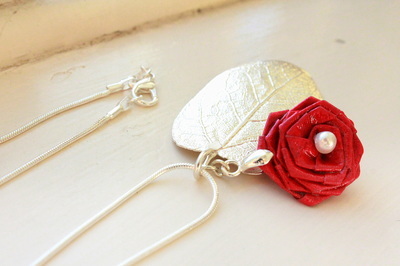 These earrings are so versatile, you can wear it with formal wear or a casual look.